Contact Amaral Auto Sales For All Your Vehicle Battery Needs Avoid the stress of a dead car battery and the need for a tow, head to Amaral Auto Sales for a quick test or replacement today! Battery tests should be a regular part of your car's maintenance plan, especially if your car's battery is five or more years old. If your vehicle is slow to start, displays flickering interior lights or has recently needed a jump start, take advantage of our used car dealership's: Service specials Driver-friendly prices Professional assistance Ease of service scheduling Convenient service center hours Quality battery replacement options Visit Amaral Auto Sales' service center near Newark, New Jersey today! Thanks to the impressive number of certifications our team members hold, and our years of experience, our used car dealership can assist all drivers in the area no matter what type of vehicle they drive. 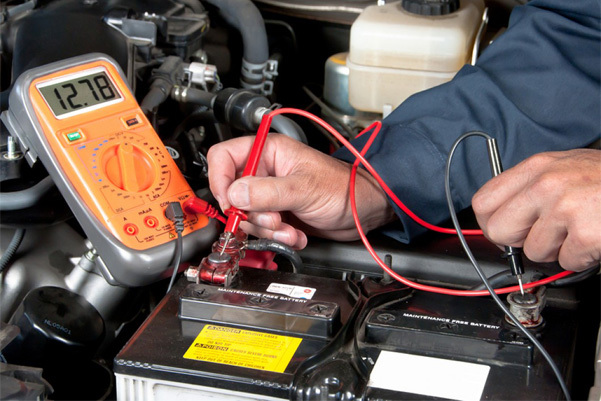 Request A Battery Inspection Online Now From a quick diagnostic to a repair or full battery replacement, the ASE certified technicians at Amaral Auto Sales are here for you! Use our interactive website to request a battery service today. Our team will carefully inspect your Hyundai Sonata's battery and will introduce you to a number of competitively priced replacement options should it be time for a new one, including high output battery options that can power advanced stereo systems or any additional in-car electronics. Contact our used car dealership near Clifton, New Jersey to learn more about the car batteries we have in stock or to get your BMW in for service!